Music is such a powerful tool in the therapeutic process, a tool that can be intertwined with basic counseling skills to make interpersonal connections while building rapport, empathy and respect. In this AMTA-Pro podcast, our music therapy colleague, Dr. Lori Gooding, discusses research, clinical examples, and application of specific counseling micro-skills such as non-verbal interaction, authentic phrases, supportive statements, minimal encouragers, humor, and more. She talks about ways in which music therapists can use the techniques to impact the therapeutic conversation, diffuse difficult situations, and help reframe words and perspectives in individual, group, and family therapy. Dr. Lori Gooding is an Assistant Professor of Music Therapy at Florida State University. 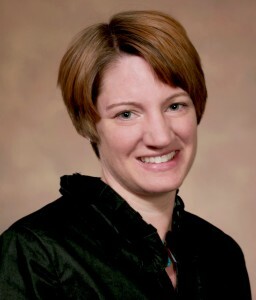 Prior to joining FSU, she was the Director of Music Therapy at the University of Kentucky where she developed the clinical and academic programs. As a clinician, Dr. Gooding has worked primarily in behavioral health and pediatrics, and has served as an evaluator for IEP-based music therapy services in the public school system. Her primary research interests are psychosocial care and music therapy education, and she has published in a number of journals including the Journal of Music Therapy, The Arts in Psychotherapy and Music Therapy Perspectives. Dr. Gooding was also the editor of Medical Music Therapy: Building a Comprehensive Program. Gardstrom, S. C., & Hiller, J. (2010). Song discussion as music psychotherapy. Music Therapy Perspectives, 28, 147-156. Gooding, L. F. (2014). Music therapy and the psychosocial care of medical patients. In Lori F. Gooding (Ed. ), Medical music therapy: Building a comprehensive program (pp. 213–226). Silver Spring, MD: American Music Therapy Association. Nolan, P. (2005). Verbal processing within the music therapy relationship. Music Therapy Perspectives, 23, 18-28. Dr. Gooding, thanks so much for publishing this podcast. I found it very helpful and especially appreciated the mention of how you use counseling skills together with lyric analysis. I was curious about specifically music making or active music creating in your practice. Have you ever done any work or have presented on pairing some counseling tools with a musical representation for example, “head nodding” , role playing , mirroring through the music. I know there is a text “Microanalysis in Music Therapy”. Do you have materials you would recommend ?I also agree that skills are underrepresented.